Desirable new home build 2 Bedroom with Den 2 Bathroom 2 Car Garage Villa with 1750 Sqr-Ft in the heart of New Tampa. Nestled in the community of K-Bar Ranch the villa is located in a gated and maintenance free community. With Tropical Landscaping & Pavered Front Porch this Craftsman Style property has such presence. You are immediately drawn to the beautiful laminate and tile flooring spanning all throughout the common areas. The single story home is ideal for entertaining with its Open Floor Plan. The space is light and bright with Windows & Sliding Doors leading out to your conservation view covered extended patio (perfect for grilling). The Kitchen has Granite Counters New Stainless Appliances 42’ Upper Cabinetry with Crown Molding & Walk-In Pantry. 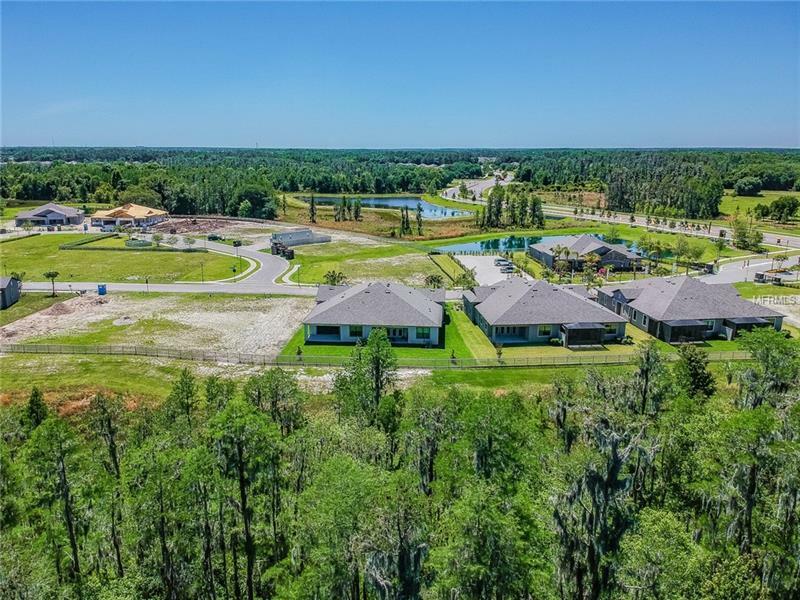 Lots of desirable upgrades throughout the home including Tray Ceilings in the Foyer Master Bedroom Dining Room and Family Room frosted glass door leading into your Pantry and 5 ¼ Baseboards throughout the home. You will have access to a full range of amenities including a swimming pool with cabana clubhouse playground and more. Bike riding distance from Restaurants and short car ride to Shopping & Entertainment. Your HOA fee includes Common area Maintenance Full Service Landscape Maintenance Pest Control Sentricon Termite Service Reserves for Painting Exterior/ Roof Replacement and Well Water Irrigation. This is the perfect home for someone who wants to live in a maintenance free home for more time to enjoy life to the fullest.